Assistance for Europe, Eurasia and Central Asia: $32 million (from $630 million). Capital Investment Fund of USAID: $7 million (from $130 million). Development Assistance Program: $127 million (from $2.5 billion). Development Credit Authority Program Account: less than $1 million (from $8 million). International disaster assistance: $49 million (from $980 million). Office of Inspector General operating expenses: $3 million (from $51 million). Operating expenses: $68 million (from $1.4 billion). Transition initiatives: $3 million (from $57 million). African Development Foundation: $2 million cut (from $30 million). Food for Peace Title II grant: $74 million cut (from $1.5 billion). Inter-American Foundation: $2 million cut (from $29 million). McGovern-Dole International Food for Education and Child Nutrition Program: $9 million cut (from $185 million). Millennium Challenge Corp.: $45 million cut (from $904 million). Peace Corps: $19 million cut (from $377 million). Trade and Development Agency: $3 million (from $50 million). It’ll take a while for the effects of sequestration to become clear, and even then, lawmakers may not agree on a way to reduce its burden on the U.S. economy and job market. But its effect on government is fast becoming clear – and it involves furloughs and procurement delays. The Department of Defense disclosed that about 800,000 civilian workers would be forced to stay home one day per week because of sequestration. Other agencies were expected to issue similar furloughs. By 6 p.m. on Friday, neither the State Department nor USAID had apparently issued those dreaded notices to staff. 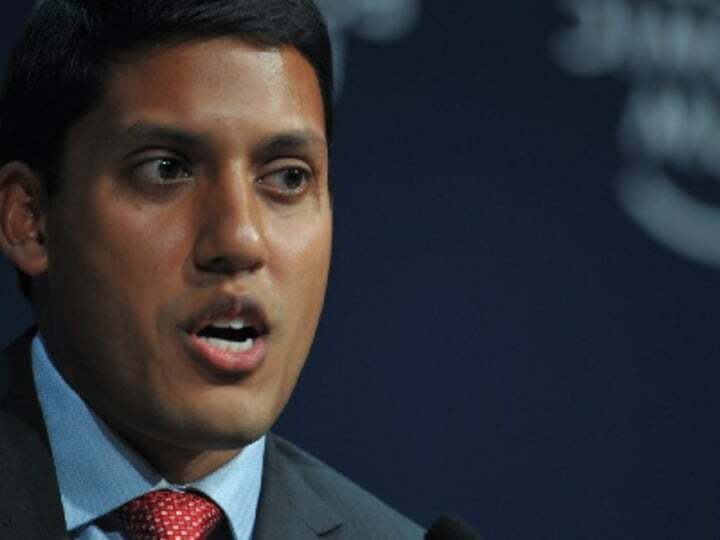 USAID Administrator Rajiv Shah spoke out against furlough just two weeks ago. “Using all available funding flexibilities, at this time, the agency does not intend to furlough employees in FY 2013,” Shah said in a Feb. 21 notice to staff. The agency is considering a variety of actions to mitigate the impact of sequestration, including implementing a hiring freeze, modifying management and professional support services contracts, and reducing centrally planned IT investments. Only enter into new contracts only when highly needed. Cancel programs that are no longer within the funds available for this year. Negotiate terms of contracts when costs exceeded the funds available. Consider delaying awarding of new financial assistance obligations. Consider reducing the level of assistance through formula funds or block grants. Scrutinize hiring new personnel, issuing discretionary funds to employees and spending for news training, conferences and travel. USAID has yet to release details on the cuts it intends to make to its field operations and programs such as Feed the Future, the Global Health Initiative and USAID Forward, the agency’s reform initiative. “At this point, we don’t have that kind of breakdown to provide,” Bazbaz told Devex. USAID has hinted that cuts may come from costly projects with little development impact. It remains to be seen how the sequester will affect USAID’s already notoriously troubled procurement system, which is characterized by delays and a stop-and-go mentality that has been tough on the agency’s implementing partners. As USAID and other government agencies continue to craft their response to sequestration, budget negotiations continue on Capitol Hill. First priority is to keep the government running beyond March 27, most likely through a continuing resolution instead of a grand bargain that would supercede sequestration. Then, lawmakers may again try to soften the blow of sequestration while starting their work on the appropriations for fiscal 2014, which begins Oct. 1.